If you have ever wondered what is a conventional loan when reading about mortgages, we’re here to help. A conventional loan is a type of mortgage that does not have any kind of government guarantee backing it. Some loans have government backing because they are administered by a federal program. For example, low-income families may qualify for the Federal Housing Authority’s mortgage program, which would be backed by the government. Any loan that does not fall under any such program is a conventional loan. 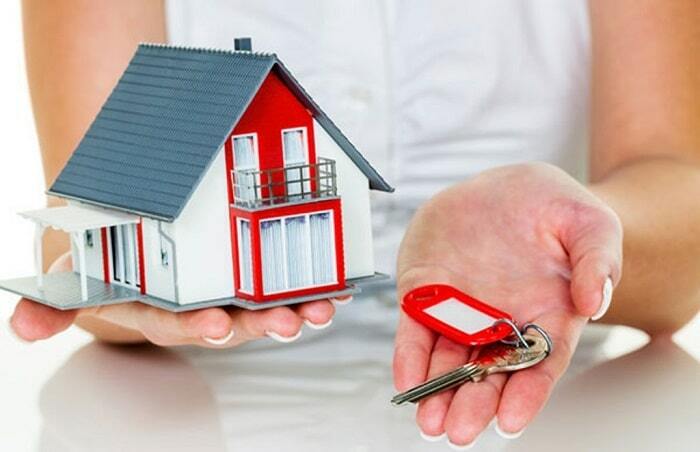 There are some important differences between a conventional loan and a government-backed mortgage based on the assurance that the government provides and the effect that has on the interest rate and initial costs. The question of what is a conventional loan will affect your home search and planning. In this post, we will examine how a conventional mortgage differs from a government-backed one and what you can do to secure the best conventional loan possible. As long as the loan is not issued by the government and does not carry a government guarantee, then it is conventional. These mortgages are issued by a bank and the bank may keep the loan themselves after they issue it or sell it to another loan or even a government agency. Government regulations do dictate some of the terms of conventional loans, and some conventional loans are more tightly controlled than others for reasons we will explain later on. What Is a Conventional Loan in Terms of Regulation? Conventional loans can be conforming or non-conforming. A conforming loan is one that fits within certain rules set by the federal government and the bank is allowed to sell it to one of the government-backed banks, Fannie Mae and Freddie Mac. A non-conforming loan doesn’t fit those rules so it can’t be sold to Fannie or Freddie. Non-conforming loans can be more exotic, but they sometimes carry higher rates due to the increased risk. Conventional loans can also be portfolio loans. These are loans that cannot be sold at all to any other bank, so the original bank plans to keep it for good. These can be highly customized to the house and your situation, such as by allowing you to use stocks in your down payment. Sub-prime conventional loans are well-suited to lower income borrowers because they have lower credit requirements, but they usually have higher rates to compensate. On the other end of the spectrum, jumbo loans are loans that are above a certain threshold set by the county government and are too big for Fannie and Freddie. Who Gets a Conventional Loan? Conventional loans are very common. The two biggest types of programs that create or guarantee loans from the government are the Department of Housing and Urban Development’s low-income housing projects and the Veterans’ Affairs similar programs that are restricted to vets. 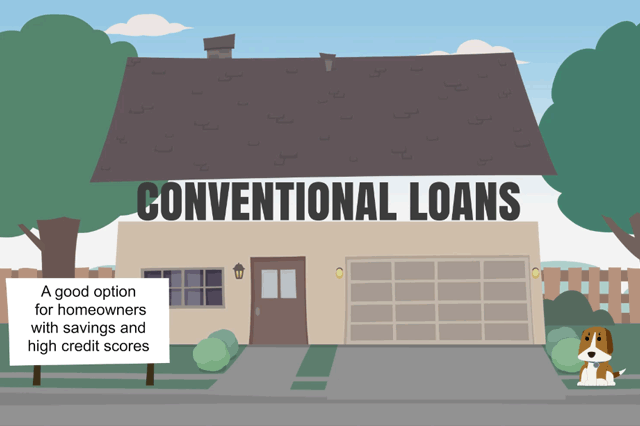 What is a conventional loan? Everything else. Most homebuyers do not fall into one of those categories, so they apply for conventional loans. Real estate agents connect people to houses, then the people choose which home to buy and apply for a mortgage at a bank. The bank will conduct an investigation and decide whether to approve or deny the loan application based on credit history, income, and other factors. The investigation determines not only who gets approved, but what terms the bank will offer them. A conventional loan is, in some ways, easy to apply for and in other ways, hard. On the easy side, the paperwork is relatively simple and less involved compared to some other financial deals. On the other hand, the bank can be rather aggressive. It will look for your credit history, any past transactions that are still open, your time in the area, any past behavior that would cause them to doubt your ability to pay off the loan, and so on. The bank is taking on the risk that you will walk away from the loan. Therefore, it wants to carry out extra investigation work so that it can tell which people are more likely to default. Applying for a conventional loan also means that you should save up for a down payment ahead of time. Since these down payments are often large – 20 percent of the size of the loan is a good target- they are generally larger than most people keep in cash most of the time. There are also costs to prepare for associated with the closing of a house deal and the buyer is often expected to contribute towards those. Decide in advance if you want a longer term with lower payments or a shorter term with higher payments. A shorter mortgage will involve paying less interest, but it can be harder to fit into your monthly budget. Use your down payment as a way to set a budget for yourself. You should not consider a home whose price is higher than your down payment would put you in a position to own. For example, if your down payment savings are $50,000 and you want that to cover 20 percent of the loan, don’t look at any houses over $250,000. Think about the market. If there are a lot of houses available in a certain area, then supply is high and banks might be more open to negotiating a lower rate just so they can have your business. Don’t be afraid to take advantage of events like those. If you’re wondering “What is a conventional loan?” then understand that the key is the lack of government banking. Conventional mortgages are the bulk of all mortgages and most people will have at least one over the course of their lives. Tell us in the comments about whether you wonder what is a conventional loan or about what kind of mortgage you want.